G-d is using Donald Trump to expose all of the evil, lies, deceit, and diabolical actions of the government, media, and social institutions. G-d is bringing the blinding light of truth to all of the actions of the men and women who are in charge of these institutions. Instead of rolling over and playing dead and accepting all of this garbage Trump is fighting back. We are taught to fight against all of the evil that attacks the G-d of my father’s, the one true G-d of Avraham, Yitz’chak and Ya’akov, family, Israel, and to make what is wrong right in the eyes of G-d.
Daniel Horowitz The Conservative Review wrote this piece. “Amidst the national debate over the deep state embedded in the intelligence bureaucracies sabotaging the Trump presidency, career DHS officials came out with a report trying to undermine the president’s immigration moratorium from high-risk countries. “In leaked document, the case for Trump’s ‘Muslim ban’ takes another huge hit” (Greg Sargent, Washington Post). “DHS report undermines President Trump’s travel ban: Most foreign-born terrorists become radicalized in the US” (Salon.com). “Homeland Security Still Doesn’t Think Donald Trump’s Immigration Order Will Work” (Huffington Post). To begin with, if such a high-profile DHS intel report was leaked to MSNBC, why was the individual responsible for it not fired over the weekend? Where is DHS Sec. John Kelly? He was one of the first members of the Cabinet to be confirmed and should already have control over the department. Moreover, the eight-page report actually proves the thesis we’ve formulated since my column began here at CR. There you have it, folks! What this means is that the immigration threat from the Middle East is even more severe than what Trump is making it out to be, not less problematic. His detractors are trying to use this report, and clearly it was published and leaked under such a premise — to show that there is no way to vet individuals for terror links. As such, they contend that the immigration moratorium is worthless. This is a classic straw man argument. In fact, the report demonstrates why only a moratorium can help. As we’ve said ad nauseam, the problem we face with mass migration from the Middle East is a lot more ubiquitous than a mere few individuals with known ties to official terror groups. It is a civilization problem – importing mass numbers of Sharia-adherent immigrants to the West who will then cluster in communities and cultivate a climate that sows resentment for the host country among their children. This is the enduring lesson of Europe, and yes, this is the reality demonstrated by the 88 cases of radicalized Muslim immigrant families analyzed by this DHS report. When most of these terrorists came to the U.S. at a young age, they probably looked as cute as any other kid. There was nothing to vet … other than the parents adhering fervently to Shariah. What history has demonstrated is that the parents who are focused on settling down usually do not commit terror attacks. For example, the father will open up a deli shop in Dearborn, Mich., or Brooklyn, for example, and live a pretty quiet life. However, they will raise their kids under a culture that, by and large, is incompatible with western values. This sows resentment among the younger generation, which becomes even more disenchanted with the host country (particularly with the advent of cyber-jihad. This is the story of the Chattanooga shooter who was brought here from Kuwait when he was 2, the New York/New Jersey bomber (Ahmad Khan Rahami) who came here from Afghanistan when he was 12, and the Ohio State Somali vehicular jihadist who came here as a teenager. As the report itself recognized, most of the 88 cases they studied involved a suspect who was less than 16 years old when admitted to the country. Therefore, this DHS report, much like a broken clock that is right twice a day, accidentally stumbled across the truth: We have an assimilation problem with many immigrants from the Middle East. The last thing you want to do, then, is to bring in more from the Middle East – to the tune of 160,000 a year – when we badly need to assimilate the record numbers that already migrated here over the past 15 years. The real number to focus on is not the few people who will have a known paper trail linking them to terrorists from day one, but the 90-plus percent from countries like Iraq who subscribe to Shariah. That is why it was such a mistake for Trump to remove Iraq from the list; Trump should have cited this report as reason to expand the moratorium to places like Saudi Arabia and Pakistan. Undoubtedly, there is also an element of vetting that is important — for example, in the case of Tashfeen Malik (one of the San Bernardino shooters). She should have never been admitted from Pakistan; her social media accounts and her basic biography reeked of Islamic supremacy. Then again, the people drafting these DHS reports don’t believe in vetting the supremacist mentality that cultivates the climate of terror. Remember this one key point G-d is always in control and in charge. It is not humans who put people in their place of power IT IS THE ONE TRUE LIVING G-D. Many will scoff at this. Adonai is our great protector. This is all written in the Torah and the Tanakh. Adonai’s word is very specific. He made a covenant with Avraham. See Genesis 10-15. Adonai promised Avraham that his seed would be as numerous as all the stars in the sky. Later Avraham’s son Isaac would give birth to the nation of Israel. Isaac’s son Jacob name would be changed to Israel. For God made a covenant with Avraham that his seed would give birth to the Adonai’s people Israel “We Jews”. See Genesis 25-34.
they would have swallowed us alive! the torrent would have swept over us. would have swept right over us. to be a prey for their teeth! the trap is broken, and we have escaped. Psalms 91 Complete Jewish Bible. This story appeared on The Drudge Report August 7th. Joe Kovacs wrote this for WND Faith. 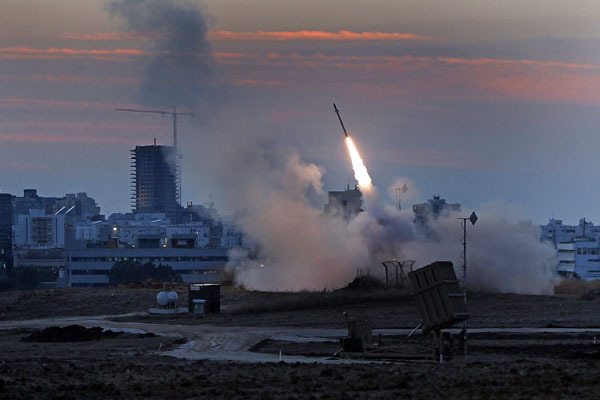 More claims of divine intervention are being reported in the ongoing conflict between Israel and Hamas, with an operator of Israel’s Iron Dome missile-defense system saying he personally witnessed “the hand of God” diverting an incoming rocket out of harm’s way. The commander recalled: “A missile was fired from Gaza. Iron Dome precisely calculated [its trajectory]. We know where these missiles are going to land down to a radius of 200 meters. This particular missile was going to hit either the Azrieli Towers, the Kirya (Israel’s equivalent of the Pentagon) or [a central Tel Aviv railway station]. Hundreds could have died. 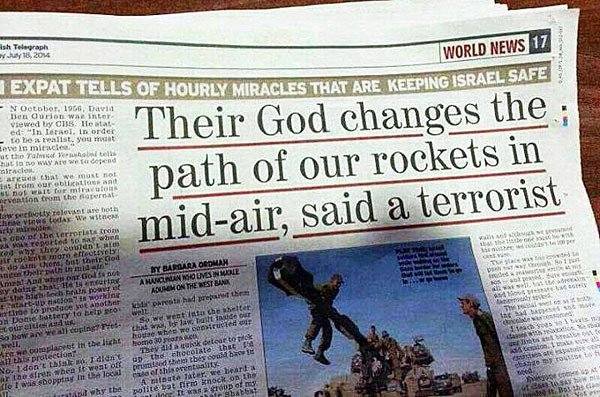 Their God changes the path of our rockets in mid-air, said a terrorist,” was the headline in the July 18 edition of the Jewish Telegraph. It was a partial quote from Barbara Ordman, who lives in Ma’ale Adumim on the West Bank. Ordman also noted religious texts, specifically the Jerusalem Talmud, teaches Israelis not to depend on miracles for survival. “It argues that we must not desist from our obligations and must not wait for miraculous intervention from the Supernatural,” she wrote. “It really was a fulfillment of the verse ‘For the Lord your God is the one who goes with you to give you victory,’” he said, quoting Deuteronomy 20:4. Why does the Bible say believers will sit on the throne of Jesus Christ and judge angels? Find out in your personally autographed copy of “The Divine Secret” by Joe Kovacs right now, or get autographed copies of both “The Divine Secret” and the classic “Shocked by the Bible” bundled together! The dispatch came under fire from some, since it portrayed the Operation Protective Edge as a religious war against non-Jews. The Israeli government’s stated aim is to stop rocket attacks at Israel and destroy a network of tunnels dug under the border from Gaza used to launch terror attacks inside Israeli territory. 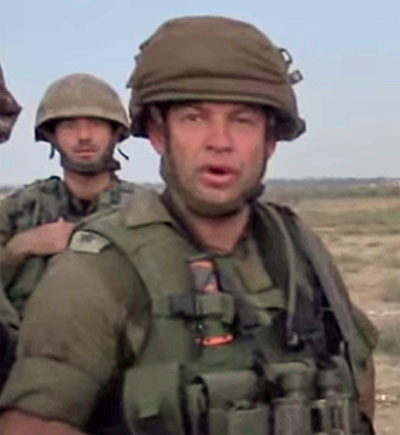 “Anyone who attacked me for the letter apparently has only seen weapons in pictures, was never in combat, and doesn’t know what fighting spirit is,” he said, revealing that before going into action his custom was to recite the blessing with which the ancient Israelite priests would bless the army before it went to war. All one has to do is read the letters and the papers of John Adams, Thomas Jefferson, George Washington, Doctor Benjamin Rush, James Madison, and Ben Franklin wrote. This is just the tip of the iceberg. William Bradford and his band of dissidents wrote the Mayflower Compact in 1620. These brave men gave all the glory to Adonai. Edward Mourt wrote Relation: “A Journal of The Pilgrims at Plymouth. See http://allabouthistory.org and Wikipedia Mayflower Compact. These early writings will give us a clue into what these men were all about. 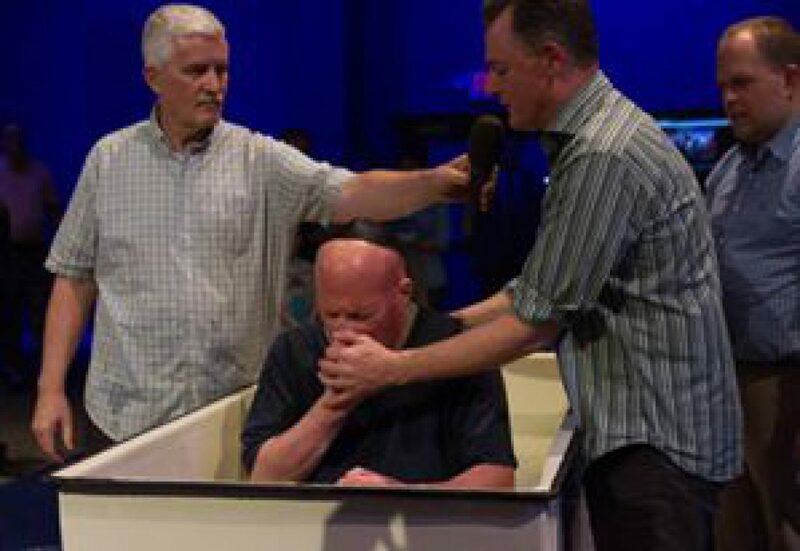 These men were men of faith. Look folks we are in a spiritual war. The weapons of the enemy are powerful but Satan has no authority. It is time that Christians and my people The Jews take authority over what is happening in this country and fight back instead of sitting back and not praying and asking Adonai to help us fight this powerful enemy Satan. Adonai of The Torah and The Tanakh is begging us to return to HIS word. Once we as a people return to Adonai’s word we will all be given protection, abundance, and blessing. This goes for my people também. Once We Jews and the nation of Israel return to the words of the Torah we will receive all of Adonai’s love, protection and blessings. We Jews have a covenant with Adonai through Avraham. Adonai will always be our protector and provider. Adonai is showing us we need to return to the House of Judah- David’s house. Everything that is happening to this country is the direct result of us rejecting My Father Adonai and HIS son Yeshua. We as nation have desecrated My Fathers house for the last time. We are not fighting against flesh and blood. We are engaged in a war against principalities. These evil forces led by Obama, The Demo-Republican Party, The state run and state controlled media, and The Left have been attacking this country since the mid 1850’s. This war has been going on for well over 150 years. The first stronghold landed in 1890 or so. Led by Woodrow Wilson the idea that man could create heaven on earth took its very roots. This idea has been around since Adonai created man. Europe has led the charge in this progressive line of thinking. If we could just get Adonai out of the picture and establish a King or supreme ruler all would be perfect. If the right set of circumstances coupled with the right people in charge man could create the perfect universe for all. Adonai has warned us about this in HIS word- The Torah and Tanakh. Wilson, etal believed that they were the right people to accomplish this task. This idea of the state or supreme ruler in total control of life from womb to tomb is the direct opposite what our found fathers believed. Thus the war of ideas began. This war has taken much casualties. The biggest causality is our individual freedom. The idea that freedom comes from Adonai is a foreign concept to many. The idea is contradictory to what is taught by The Catholic Church and the many denominations of Christianity . The Church was tied directly to the King or the sovereign ruler. The Catholic Church did not want the word of Adonai translated from Latin to English, French, or what ever language. The Church leaders did not want the people to have direct access to Adonai’s word. The first Tanakh translated was done in England. This was called the King James Version. Yet this translation was incomplete because the King of England did not want the people to have the real word of Adonai. If the people knew the real word of Adonai we would demand our freedom from the tyrants that ruled over us all. This novel concept was a simple one. The founding principle was that all of our rights and freedoms come from Adonai. Adonai is sovereign. And thus since Adonai gave us freedom therefore we the people were sovereign. Instead of the King or ruler being sovereign our sovereignty came from Adonai and thus we the people were sovereign and the founding principles of this country were birthed. Adonai throughout HIS word is warning us what will happen to us if we disobey HIM. HE is giving us a snapshot of what is to come if we don’t go back to our founding the word of Adonai. The only way to stop what is happening to this country is to go back to the word of Adonai. His word is the rock upon which this country was built. George Washington, Thomas Jefferson, Ben Franklin, and the rest were men of faith. They knew and believed the Torah and Tanakh was true. Yet like our Father Adonai these men believed in freedom of choice and personal responsibility for our actions and thoughts. Now the very idea of freedom, personal responsibility, the word of Adonai, sovereignty rests with “We The People” given to us from Adonai is now branded by our rulers and King as extremist hate speech. The only thing that will save us is the word of Adonai, prayer, and beg Adonai for forgiveness and repent of our evil ways. The Torah and Tanakh is very clear that the world will be turned on its head right will become wrong, wrong will become right and the word of Adonai will condemned by ruler and Kings of the world. This very day is happening now. Repent for the Kingdom of Heaven is at hand. Matthew 3:1.